I’ve always found that the run up to Christmas has always been a time of reflection and planning for the future. In this first of a three-part blog – The Post of Christmas Past (and no prizes for guessing the next two titles!) I’d like to give some reflective thoughts on the last 15 years in business and technology as well as their impact on leadership – 3 of my biggest passions. The first 15 years of the millennium saw huge changes in the global economy, business processes, technology innovation and the way people purchase – A shift from Bricks and Mortar to Clicks and Mortar and latterly just to Clicks in many cases. Whole industries have been transformed by technology, some businesses have seen stratospheric success from a standing start and some have been decimated. Leaders from around the globe have had to grapple with all this as well as crippling global recession. So what have been the biggest seismic shifts in the business and technology worlds since the dawn of the millennium and what lessons can we as leaders take from these? Since the mid-1990s, the Internet has had a revolutionary impact on culture and commerce, including the rise of instant communication by electronic mail, instant messaging, voice over Internet Protocol (VoIP) telephone calls, two-way interactive video calls, and the World Wide Web with its discussion forums, blogs, social networking, and online shopping sites. In December of 1999 the internet had 248 Million users, 4.1% of the global population and according to the Internet World Statistics in June of 2014 there were 3.04 Billion users, approximately 42% of the world’s population. The rise of the internet is probably one of the biggest technology AND business shifts for decades. Not always via one large event, more often through a series of significant changes to hardware and software over a relatively short period of time (think vinyl records –cassette tapes – Sony Walkman – CDs – Napster – iTunes – iPod etc.). Depending on your perspective, these changes may be for better or for worse but some industries have certainly changed fundamentally and forever. In these industries, agile companies have and are re-engineering their business processes and transforming their operations in order to survive and prosper in today’s web-enabled world. Those leaders who retain perspective, who observe and learn from what’s going on around them and, above all, stay close to their customers, will be the leaders of the next era of Digital Disruption, not its casualties. Businesses have been transformed and reassembled themselves around the customer. Of course some organisations have always been driven by the customer, but intelligent use of technology has enabled companies to target products and services at individuals and organisations in a way that adapts to the customers’ changing needs and circumstances right the way through their lives. You’ll have to find a way to weave your peoples’ talent, customer insights, and flexible teams into a highly focused execution machine dedicated to delighting customers. Online search technology is barely 20 years old, yet it has profoundly changed how we behave and get things done at work, at home, and increasingly while on the go. It empowers people and organisations in every corner of the world. A world without search technology has become unimaginable. Better matching – Search helps customers, individuals, and organisations find information that is more relevant to their needs. Time saved – Search accelerates the process of finding information, which in turn can streamline processes such as decision-making and purchasing. Raised awareness – Search helps all manner of people and organisations raise awareness about themselves and their offerings, in addition to the value of raised awareness from an advertiser’s perspective. Price transparency – This is similar to “better matching” in that it helps users find the information they need, but here, the focus is on getting the best price. Long-tail offerings – These are niche items that relatively few customers might want. With the help of search, consumers can seek out such offerings, which now have greater profit potential for suppliers. Problem solving – Search tools facilitate all manner of problem solving, be it how to build a chair, identify whether the plant your one-year-old has just swallowed is poisonous, or advance scientific research. New business models – New companies and business models are springing up to take advantage of search. Without search, many recently developed business models would not exist. Price comparison sites are a case in point. Value is now found in analysing, interpreting, presenting and verifying, rather than sourcing, information. China is engaging and facing the outside world for the benefits it brings to its own markets. India is facing the world and becoming more outward focused generally. Companies from these and other countries are becoming major players in many industries. For example, it is impossible to think about the global automotive industry now without thinking of Tata. The next decade will see these flourishing economies move into other industries and dominate others where they are already competing. Globalisation presents tremendous opportunities as well as increasing complexity for organisations worldwide. Navigating complex networks, managing dispersed and diverse teams, and consistently implementing a global company strategy is a challenge. To navigate this dynamic environment, consistent leadership is critical to effective execution of the company strategy. Private and public social networks have changed the way people meet, stay in touch, communicate and gather. Anyone who thought they were a fad has been proved dramatically wrong. Business networking sites such as LinkedIn have provided a low-cost way for entrepreneurs and others to market their skills and services. This, combined with the free availability of open source, integrated ‘office’ software has induced the birth and growth of new businesses and business models. Rather than imposing rules around social media and what your people can and can’t do within a work environment and beyond, embrace social networking culturally – train people, give them the tools and let them take the lead for your brands. For much of the twentieth century, there was an unspoken deal between employers and employees. On the employers’ side, this meant underwriting an assurance of job security and pensions in retirement. Over the last decade that has been dismantled. Companies have stepped away from pension commitments that are, in many cases, financially unsustainable. The result has been an erosion and decline in the loyalty that employees assign to their relationship with their employer. The current economic climate works in the employers’ favour in this respect, but this will change. Strikes may be less common today but workers have fewer second thoughts if they get a better offer elsewhere. Many companies are therefore working hard to foster an internal culture of employee engagement and common goals (through flexible benefits and leadership programmes, for example). Understand who your key employees of the future will be. Value them and nurture them in ways never done before. Global markets mean global teams and the ability to lead, manage or work within a virtual team has become one of the new skills of the first decade of the millennium. Remote working and the proliferation of email, hand-held devices and conference calling has meant global networks can be effective and people can work from almost anywhere. We get information instantly and communicate more widely. But some may feel isolated and alienated, rarely seeing others face to face, even if they work in the same building. The full consequences of the virtual communication revolution are not yet clear. Ultimately, the challenge for leaders of virtual teams is to create a level of collaboration and productivity that rivals the experience of the best co-located teams, and to accomplish these outcomes against the backdrop of the rapid changes facing nearly every business today. Leaders of truly virtual teams must be able to facilitate team cohesiveness by taking full advantage of existing and emerging collaborative technologies. Mobility and uptime have become synonymous with doing business over the last 15 years, enabling great flexibility, improved productivity and the ability to always be available. The advances in mobile technology have been immense and has literally transformed many business processes, working practices and work habits. In just a few years, Internet-enabled portable devices have gone from a luxury for a few to a way of life for more than one billion people who own smartphones and tablets. In the United States, an estimated 30 percent of Web browsing and 40 percent of social media use are done on mobile devices; by 2015, wireless Web use is expected to exceed wired use. Ubiquitous connectivity and an explosive proliferation of apps are enabling users to go about their daily routines with new ways of knowing, perceiving, and even interacting with the physical world. The technology of the mobile Internet is evolving rapidly, with intuitive interfaces and new formats, including wearable devices. The mobile Internet also has applications across businesses and the public sector, enabling more efficient delivery of many services and creating opportunities to increase workforce productivity. a) Engaged workers are bullish on the tools that they have at work. 77% of engaged employees indicate that technology is important to them. This makes sense given their high level of mobility and need to interact with external partners and customers. The majority of engaged workers use laptops (71%) and smartphones (57%), which help make them mobile. Additionally, more than a quarter use tablets for business. c)… and they feel under-served without it. Forrester’s research into the mobile workforce has consistently shown that these workers need devices and apps in context for the situation they’re in. That trend holds true here, as 74% of engaged workers use more than one device for work. Forty-seven percent of this group uses three to four devices. The majority of those using that many devices believe they have access to the tools they need to get work done. By contrast, 80% of employees using just one to two devices don’t think that they have the necessary tools. d) Collaboration tools connect workers to the company’s success. Ensuring that information flows freely through the organisation and out to partners and customers is essential in today’s business environment. A majority of the engaged workforce uses at least one social tool (53%) and/or one communication and collaboration tool (83%). We’re beginning to see the benefits workers receive from these tools: 85% of social software users say they know how their work contributes to the company’s mission. Furthermore, these tools help build community, as the bulk of those using communication and collaboration tools say their colleagues do the same. Where organisations are willing to accept and promote the use of mobile technology and give employees greater freedom in the course of their work duties, it can have a positive impact on staff motivation. With employees empowered by web-enabled devices, there is no need for them to work a rigid 9-5 shift at their desk in the office. Depending on the nature of their job and the duties it entails, they may be able to work effectively from any location. Mobile working can improve employees’ work-life balance, making it easier for them to spend time at home with loved ones, but without impacting on their output in the course of their job. Supported by feature-rich technology which makes their lives easier, professionals may be more motivated to work harder, add more value to their organisation, and stay with their employer for the long term. Since 2000 there has been a growing trend to outsource a range of historically core business functions – Processing and Provisioning of orders, Manufacturing, Customer Services, IT, Finance, HR, Legal, Sales, Marketing and Product Development. Some of this outsourcing has been done for cost reduction reasons and moved off shore. Some has been to use a ‘best of breed’ approach to partner with the best global product developers in a particular niche. Obviously outsourcing causes some discontent within an organisation as people often have lost their jobs as part of the process. It also has had some disastrous consequences from a customer’s perspective too, with significant language barriers and product understanding being two of the biggest challenges, especially in a sales and customer services capacity. Build strong relationships at the senior level of the partnership so that any escalations can be expedited. Since 1999, 39 of the top 100 companies in the UK no longer feature in the FTSE 100, while 12 have been taken over by other FTSE 100 firms. In the US, if you look at the Fortune 500 from the year 2000, you’ll find that more than half of the companies on that year’s list have gone. Think about that: in spite of their proud histories, their successful products, their track records of revenue and profit growth, their industry leadership, their prior stock performance, many businesses have fallen from grace. 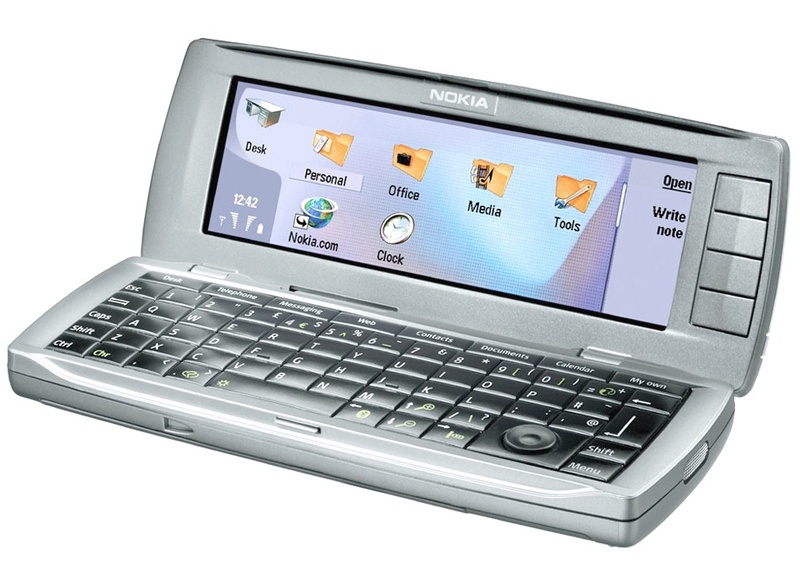 In the year 2000 Nokia had more than an approximate 90% share of the business mobile device market in the UK and was the largest mobile phone manufacturer in the world. In 2007 it had a global market share of 41%. Before its sale to Microsoft earlier this year it stood at less than 15%. In the smartphone market too, Nokia dominated at the start of the millennium with its ground-breaking Communicator series and other smartphones with 50% market share. With the launch of the BlackBerry and the iPhone and a startling act of complacency or arrogance from Nokia, they lost market share and brand loyalty in equal measure. There’s a broad range of explanations to pick from as to why Woolworths collapsed in the UK. Most obviously, the company was struggling with £385 of debt. Immense price pressure from the ever-shrinking costs of supermarkets – whose massive diversity of products now more than ever overlaps with the traditional Woolworths’ ranges – was forcing them to make price-cuts it just couldn’t afford. To worsen the situation, it had been forced to pay cash for goods from suppliers when trade credit insurers refused to insure suppliers to Woolworths any longer. And finally, although rather tragically, there was a general feeling that Woolworths had simply fallen out of fashion. No one could have predicted with any hard-and-fast certainty that internet shopping would take off the way it did, but Woolworths should have done a lot more to keep up with the trend – rather than allowing itself to be squeezed out by it. The almighty power of the all-dominant mega-super-supermarkets, however, is more difficult to stave off. Woolworths is by no means the first, and will certainly not be the last, retailer to drown in their wake. Kodak was not ambivalent about changing times, making repeated strong statements about where they needed to go, yet they didn’t appear prepared to steer their corporate cultures in that direction. Kodak’s downfall was blamed on its inability to make the leap to digital media, but Kodak had been positioning itself as a digital imaging company for more than a decade. Why was it unsuccessful? At its core, Kodak was a chemical company whose culture embraced film coatings and processing. When digital media came along, Kodak re-branded itself as a digital imaging company, but the move took it further away from its roots, and company culture could not adapt quickly enough according to many articles at the time. The likely re-financing of Kodak and the sale of its patents and all or part of its document imaging and personalised imaging services likely means that a restructured Kodak would largely focus on commercial imaging, rather than the consumer business. I’m not convinced that this will be the end of their troubles. The failure of big companies to adapt to changing circumstances is one of the fundamental puzzles in the world of business. Occasionally, a genuinely “disruptive” technology, such as digital imaging, comes along and wipes out an entire industry. But usually the sources of failure are more avoidable — a failure to implement technologies that have already been developed, an arrogant disregard for changing customer demands, a complacent attitude towards new competitors. No matter how big or well-known a company may be, without a meaningful business strategy, brand is meaningless. No matter how paranoid you think you are, you’re not paranoid enough. No matter how deeply entrenched the culture, all companies must be open to revolution. Whilst researching this post, I was staggered by how technology has transformed the way we work, how we consume and analyse information, how we sell and how we communicate. This shift across many global industries has given leadership some tough choices to make. Some made great choices at the right time and chose decisive action. Others ignored the warning signs and their businesses suffered as a consequence. To jump straight into the Post of Christmas Present, please click here!